The Shopping Queen: New Product Alert! I'm not 100% sure of how new these are as I've noticed that my local Priceline can be a bit late at putting out displays for new collections but I noticed this fully stocked stand the other day (Update: my other local Priceline's don't even have these out yet so I'm guessing that they're pretty new?). Model's Prefer hasn't really ever been on my radar before although I was aware that a lot of their products resemble Benefit products like their boxed blushes and eyebrow highlighters but I've been hearing a lot of good stuff about their lip products so I couldn't resist buying 1 (or 3!) 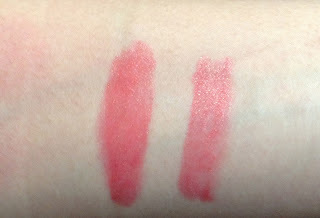 of these new "Moisture Lust Glossy Lip Tint" lip pencils. Practically every brand has released these lip pencils and I'm a huge sucker for them. I love how easy they are to use and that they don't need to be sharpened. I'm really sorry for the slightly blurry photos as my hands were shaking a lot when I was trying to take the photo. I was trying to balance an armful of other stuff at the same time. The pencils are kind of short and chubby in size and are about the same size as a Clinique chubby stick. 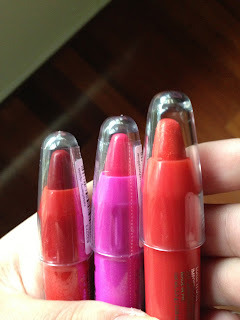 The packaging is a little flimsy but I don't really expect much from an $8 lip product. They have 2.4g of product in them whereas the Clinique chubby sticks have 3g. There are 8 colours in total for this range. I picked up (from left to right) Raspberry Ripple, Marshamallow and Tutti Fruiti. Now the disappointing thing about these lip pencils for me is that they're very sheer on me. I have really pigmented lips and I love really opaque lip products. I felt that I could build up colour if I layered it on but then it got too thick and I just got turned off by it which is why I only opened one and the other two are still in the plastic as I'm trying to decide whether or not I should return them. The one that I did open (Tutti Fruiti) though was a gorgeous orangey pink with glitter in it. 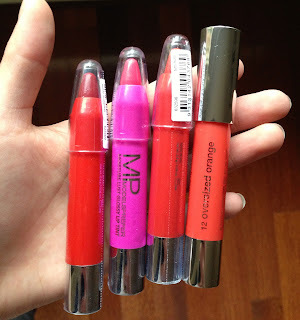 I think they're absolutely perfect for anyone who does like sheer lip products but unfortunately, they're not for me :( I prefer the Revlon Just Bitten Kissable Balm Stains over these which can be purchased for the same cost when Chemist Warehouse or Priceline have "buy one get one free" or "50% off" promotions. 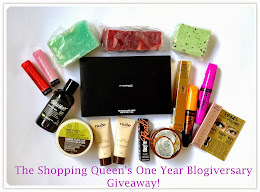 I'm having a Giveaway on my blog, please pop over and have a look. I really liked the FOA crayons! Haven't been able to find them again but I think they were limited edition anyway? I too prefer the Revlon ones! The Revlon ones are amazing! I gave away the lip pencil that I opened as I never even looked at it again. 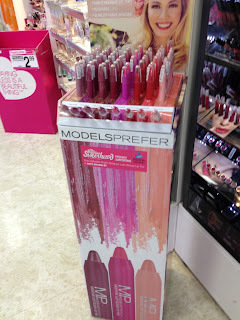 I've seen them around but hidden in some dark corner of an unrelated shelf, not with the other Models Prefer products. Never bought them because there weren't any prices written anywhere though seems like they're not pigmented enough anyway. I'm pretty sure I've seen these before... Or maybe they were Cover Girl ones... in Singapore? I've never thought much about Models Prefer products, only because I haven't read many reviews raving about their products. Surprisingly, I'm not tempted by these lip pencils. I guess it's quite hard to beat the Revlon ones.